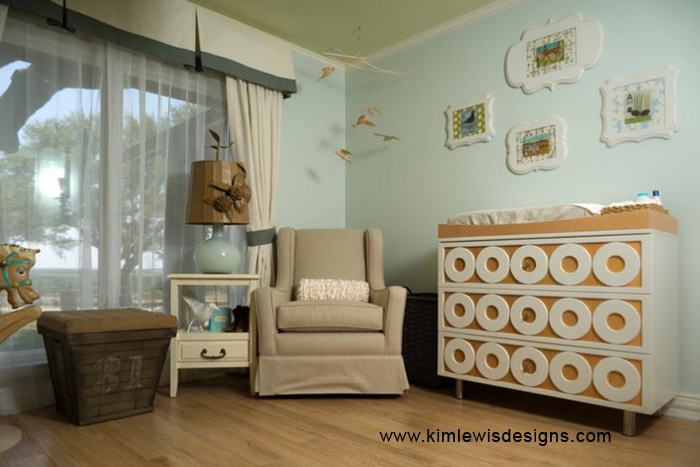 in Jewel's son's nursery (Kim Lewis Designs). I just love her! And you will love these! Each frame is hand-crafted, custom made and slightly distressed to give it character. These frames are ready to hang with wall bumpers and either sawteeth or metal loop hangers, depending on the size. They come without acrylic or glass to let the texture of your print or artwork shine. 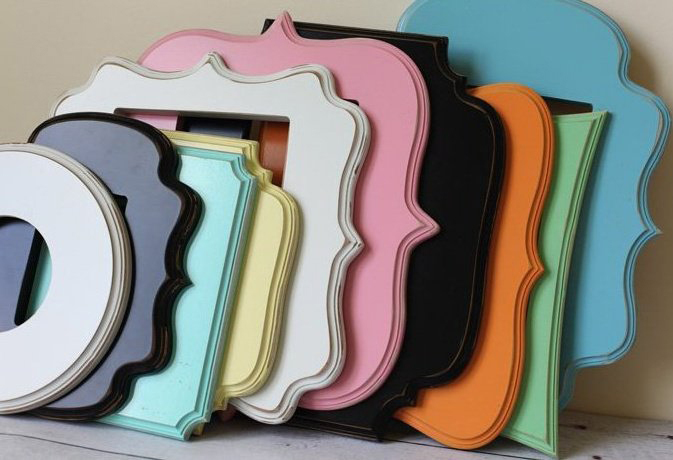 These would also be great with metallic and palette knife prints! Here are the designs. There are 10, and I have a sample of each that I'll bring to our view+choose appointment. Here are the color choices! Beautiful! 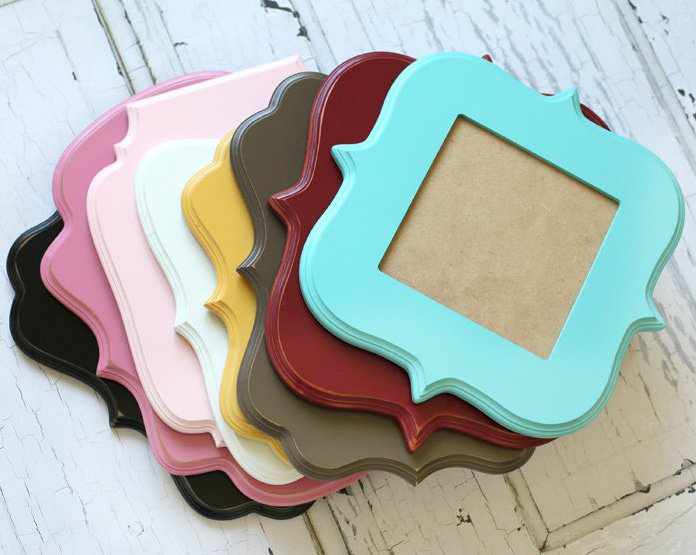 I have 10 different colors on my samples, but you can choose any colors you'd like! 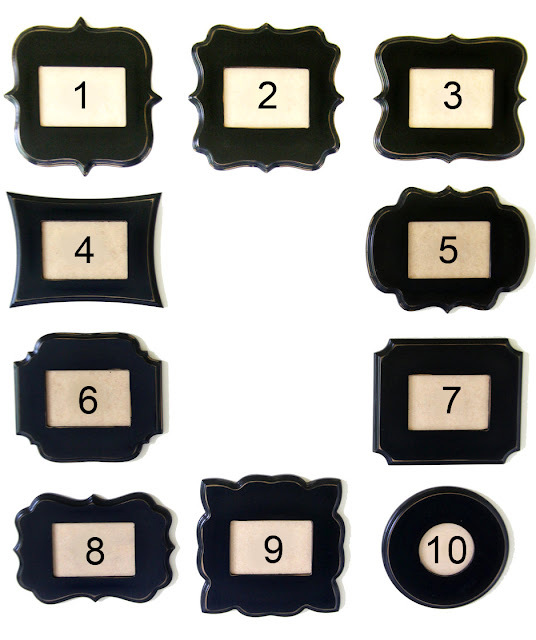 They are available in 4x6 to 16x24 sized openings and range from $32 to $110. The frames are much larger than the print opening. Since this is a custom made product, delivery time is roughly 3 weeks. Call me today to get yours!